Our body balm can help protect and nourish the skin, benefiting your whole being. Containing butters and oils specifically designed to work with the skin’s molecular properties to help rebuild and strengthen them from the inside out. The butters have the same 4.5 PH balance as human skin and contain vitamin A, D, and E as well as linoleic acid and lecithin. The balm can help to relieve puffy eyes, cracked, dry and flaky skin, to reduce the appearance of stretch marks and wrinkles, scars and cellulite while hydrating your skin and enabling it to retain its moisture to keep it soft and silky. Being the largest organ of our body, our skin is the first line of defense against the elements and protects our internal vital organs from injury, bacteria and the potential harmful environmental pollutants in our atmosphere. Using this balm is the best way to say thank you to your skin for its hard work protecting you and filtering out harmful environmental agents. To use the balm take your desired amount, emulsify it in your hands and rub it into the skin. It’s always better to use skin care after showering when the skin is still warm and moist for optimal absorption. Be sure to test on a small patch of skin before using all over to avoid any possible irritations. 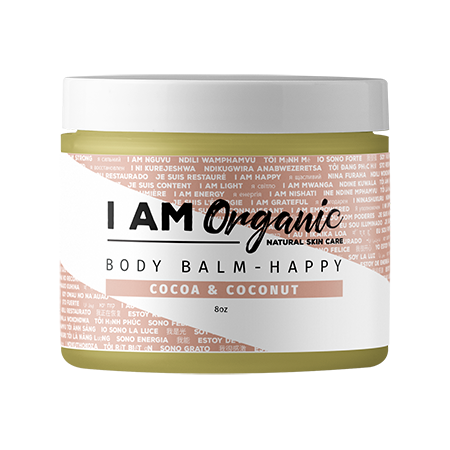 The I AM Organic Body Balm has worked miracles on my heels and elbows. It absorbs so deeply into the skin that I no longer have to moisturize repetitively to keep them looking smooth. Since the product worked so well on my driest areas, I decided to use it on my sunburn in an attempt to prevent peeling, and as I suspected, my skin remained smooth, hydrated, and not one flake! Love, love this body balm! I’ve always had the most awful problem with the heels of my feet. Deep cracks and always very dry. I’ve tried so many different products, even have my own paraffin unit, nothing worked. I tried the balm for about a week at night. I rub it on the heels of my feet in a thick layer and place my socks over it and I cannot believe how well it’s worked. My feet are actually beginning to get softer and with much less cracking. Would definitely recommend. I’m notorious for being bare foot and my feet are always callused and cracked. 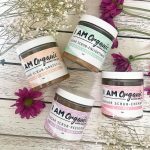 I’ve tried everything on the market and nothing helped until I used I AM Organics Balm. I was shocked at the results. 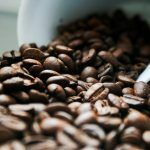 My feet are smoother than ever and the cracking and dryness have gone away. For the first time in years I’m not ashamed to wear sandals.